He received an Official Relay Station (ORS) appointment from the ARRL and enjoyed handling CW traffic and participating in CD contests. Arnie put Amateur radio on hold while he attended Temple University and earned a B.S. in Biology and a M.D. degree. Post medical school training followed at the University of California, San Francisco and service in the United States Public Health Service (Department of the Navy- Lieutenant Commander), Indian Health Service on the Navajo and Hopi reservations. Arnie moved to Southern California in 1976 and started a solo private urology practice. He retired from full time urology practice in 2001 and continued to work as a part-time locum tenens physician until 2011 and now volunteers at the Orange Free Medical clinic in Orange, California. He is a Fellow of the American College of Surgeons and a longtime member of the California and Orange County Medical Associations, a diplomate of the American Board of Urology and a member of the American Urological Association, Western Section of the AUA and the California Urological Association. He was a member of the clinical faculty of Loma Linda University School of Medicine. In 1977 Arnie upgraded to Extra Class as N6HC. He has been an ARRL member for more than 57 years and a member of the league's Legacy Circle and Maxim Society. He serves as a Volunteer Examiner and a field QSL card checker for both ARRL and CQ awards. He is a member of the Southern California DX club (Vice-President-2009), Northern California DX Foundation, Southern California Contest Club and Orange County Amateur Radio Club. He is also a member of the Chiltern DX Association (UK) and the Medical Amateur Radio Council, Ltd. (MARCO). He was elected to membership in the A-1 operators club and has earned many operating awards including WAS (6 bands, SSB, CW, RTTY), DXCC #1 Honor Roll, DXCC (8 bands, SSB, CW, RTTY), WAZ (CW & SSB), WAC, WPX (SSB & CW), and VUCC. He is an active contester and has earned numerous awards for participation in both domestic and DX competitions. He has operated from many places around the continental United States as well as Hawaii, Alaska, Mexico, Samoa and Prince Edward Island. He was named the DXer of the Year (2012) by the Southern California DX Club. 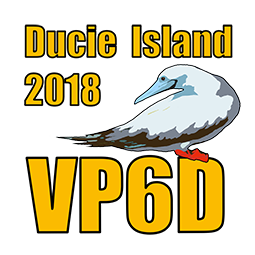 He has been a team member of ten major DXpeditions: K7C-Kure atoll (2005), 3B7C- St. Brandon Island (2007), TX5C- Clipperton Island (2008), K4M-Midway Island (2009)*, T31A- Kanton atoll, Central Kiribati (2011), T32C- Christmas Island, Eastern Kiribati (2011), NH8S-Swains Island (2012)*, T33A-Banaba (2013), FT5ZM-Amsterdam Island (2014)* and TX3X-Chesterfield Island.